*i saw this on someone else's blog, but now i can't remember whose. oh! i think it might be here. Couldn't you do something like that coming up from the basement?? yep, that's cute. 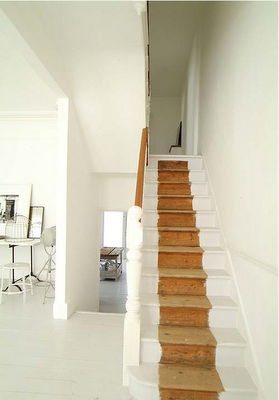 i'm finding myself lusting after all-white interiors more and more lately. we had that look in my parents old house growing up!